If you’re looking to buy an investment property there are some marketing traps that property investors should be wary of! 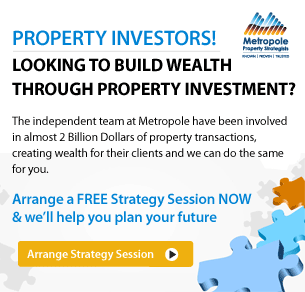 When it comes to deciding how to spend your property investment dollar, there are many options from which to choose, from established houses to off the plan apartments and everything in between. As if the decision wasn’t difficult enough, there are also many people and organisations out there trying to sway your decision in their favour with an avalanche of marketing messages competing for your attention and ultimately your wallet. The major problem is that many of the products these people are selling are fundamentally flawed and will ultimately under perform, as many investors have unfortunately discovered. So how do you avoid being sucked into acquiring a dud investment? Property marketers are typically smart people. They know how to grab the attention of buyers and are prepared to spend big money to make whatever they are selling seem very appealing. Anyone who has ever bought an apartment off the plan will be familiar with the glossy brochures, artist impressions, detailed research reports, full page advertisements and 3D models that often accompany a sales campaign. And these tools can be very impressive. Quite often they will tell you what a great investment the property will be. The key thing for astute investors to realise is that the more money spent on a slick marketing campaign, the more developers need to charge to recover all the expenses. Just because there is a big budget marketing campaign doesn’t mean it’s a good investment. An incentive is a great way to encourage people to commit to a property purchase, whether it is a rebate, brand new car or furniture package. The thing to remember with any incentive is that the value of the incentive has already been factored into the price of the property. If you’re getting a $30,000 rebate on a house and land package, you’re likely paying at least $30,000 too much for the property, even if you think you’ve negotiated a good deal. 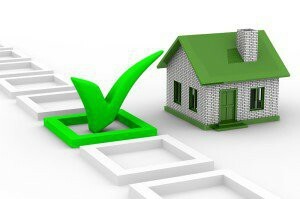 Property investors need to remember that quality investment properties, i.e. those for which there is a genuine demand, don’t need incentives to sell. Kickbacks work in the same way but are not as obvious. A developer or building company will often pay a salesperson, which could be an advisor or marketing company, a commission of up to $40,000 per sale. As with incentives, kickbacks artificially increase the price you pay for the property and should set off alarm bells for investors. Nothing is free. If anyone says they are helping you build your wealth and there is no charge, you can be almost certain they are getting paid by the seller and working for them not you. Any guarantees that promise a particular investment outcome or that are designed to reduce the perceived risk of an investment should be clear warning signs for investors. The classic example is the rental guarantee. Although a guaranteed rental income (for a short period of time) may seem enticing, it probably masks the fact that there isn’t a strong rental demand for the property. Worst still, the total amount of rent that is “guaranteed” is often built into the price of the property anyway. Similarly, promises of extremely high rental returns could be designed to distract investors from the fact that the property has little potential for capital growth. These claims generally have little substance to them and almost always fail to mention the high risk that may come with the high returns. Investors should always ask why the developer needs to offer this guarantee. A lot of products targeted to naive investors and first home buyers are located in parts of the country with little potential for upside. These are often areas with abundant supply of land, poor economic drivers and a lack of infrastructure, which hold back capital growth. Many first homebuyers buy a house and land package on the outskirts of the city with a plan to get their foot on the property ladder and later upgrade to a better location. The problem is that because these locations have abundant free land and a constant flow of newer properties coming to market, the capital growth rate underperforms the market. Property is about demand and supply. If there is lots of potential supply then the growth rate may suffer and it means there are better property investment options available. Logic dictates that when investing you should seek out a property with a high proportion of land value as this is what will drive capital growth. With new property, however, most of the value lies in the building component and not the land, which will hamper capital growth as the building depreciates. 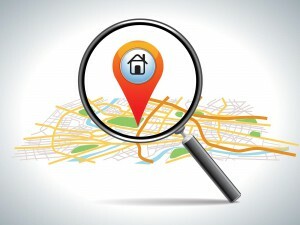 The 30 year old property on a good size block in the middle of suburbia might not look too glamorous when compared to a brand new property, but chances are it will make a far better investment over the long term. Some products, such as properties sold under the National Rental Affordability Scheme (NRAS), are often promoted for their tax advantages. This marketing approach is ultimately designed to distract investors from less favourable aspects of the investment, such as its location or potential for capital growth. Investors should never base an investment decision solely on the impact it will have on their tax return. 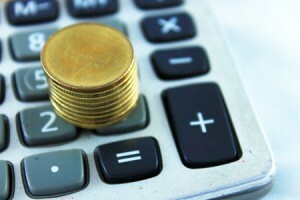 Tax deductions should be considered a welcome bonus of investing but tax is one of a number of factors investors to consider, not the main factor. Property investors should always bear in mind that the more marketing activity surrounding a particular product, the more red flags should go up. I’m not saying that all heavily marketed investments are automatically bad. However, noticing these marketing techniques should at least drive you to do your own independent investigations. Slick marketing is no substitute for quality research. Just because the sellers and selling agents tell you it’s a great investment doesn’t mean it is.